Our 2-button henley. 7 oz. 100% cotton jersey in a comfortable relaxed fit. 90% cotton / 10% polyester heather colors. Vented taped sideseams. 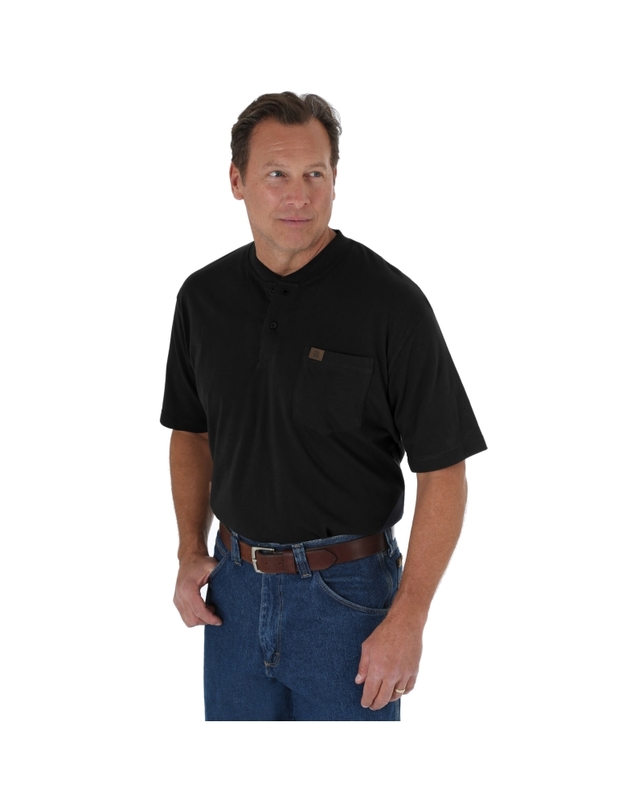 Left chest pocket and hidden utility loop. Taped neck seam. "Tagless" label. Durable triple needle stitching.